Nous partnered with a leading Victorian charity that works with some of the region’s most vulnerable individuals, families and communities. Nous wrote the business case for the establishment of an integrated youth refuge and service model with one of Victoria’s leading charities. The work aimed to address the most challenging group of homeless youth in Melbourne’s central business district. Without this specific intervention, this cohort of young people will become chronically homeless, experience a poor quality of life, and require ongoing government support. Members of this group constitute ‘super-utilisers’, requiring extensive services and support over the course of their life. The current long term liability associated with this group’s use of government services, is calculated as exceeding $150 million which, if not addressed, will continue to grow. Nous managed the process from the initial research into the underlying issues, through to the design and costing of the service model and refuge itself, and then finally to building consensus and providing a business case submission to government. 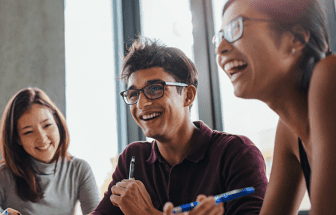 In addition, Nous co-designed with young people a mobile application to assist youth to connect with services and case workers and be better equipped to provide information across the health network. 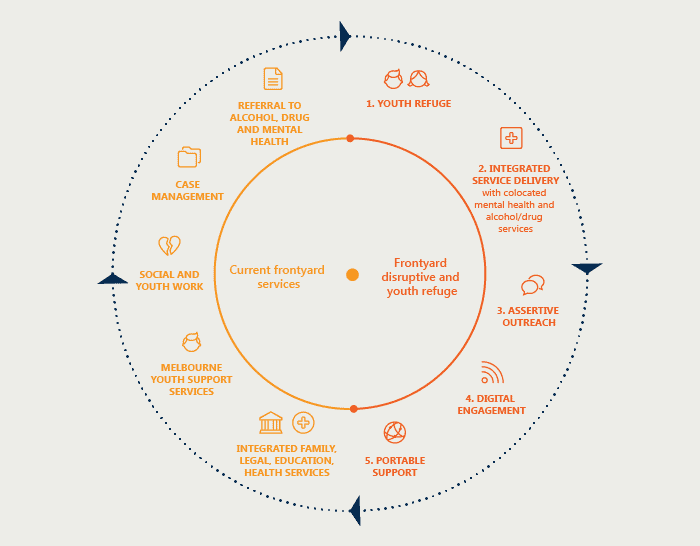 The integrated service model is intensive, youth-focused and delivers trauma-informed care. The short term aim is to remove the young person from the immediate dangers of homelessness; its medium term aim is to assist clients to engage appropriately with Specialist Homelessness Services; and its long term aim is to exit clients from homelessness. Services will vary in duration, depending on the young person’s individual needs. The organisation’s board approved the business case for submission and full funding approval, and endorsement was received from the state government. So significant was the business case, a formal ministerial launch occurred. The organisation is currently implementing the first stage of the approved business case. Strong governance and stakeholder support is critical to the success of a business case. A detailed financial and economic assessment increases the likelihood of success. Critical thinking based on multiple data sources and voices is essential in the design of solutions that crack the nut of complex issues.